An interesting discovery was made during the dismantling of the panelling in the Pilot quarters. 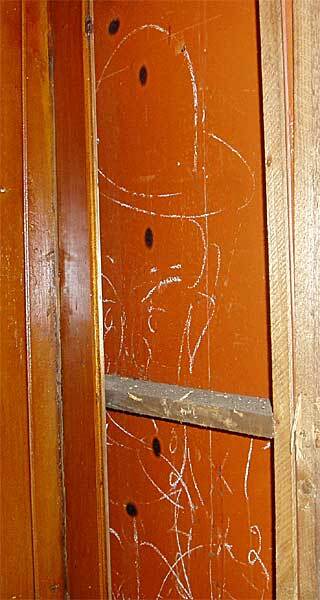 Inscribed on the steel plate behind the panel is a picture of a man in a bowler hat. In the days that the ship was build, 1927, it was customary that the Foreman wore a bowler-hat and a three-piece suit. The hat was in part a status symbol, and in part a basic “safety helmet” as protection against the accidental and “accidental” dropping of tools, bolts and rivets by the workmen. The ship was fitted with a 110 Volt DC electrical generating system. 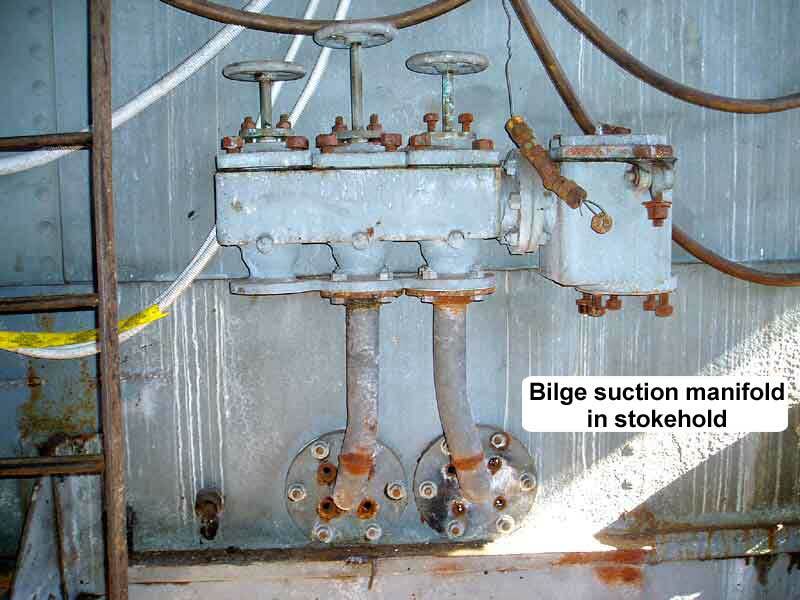 The electrical current was distributed via lead-sheathed electrical cable. The insulation between the conductors and the lead-sheath is by rubber and a cotton cover. Each conductor consists of 3 strands of copper wire. In the latter years of the operational ship, numerous short circuits to the sheath were reported in the electrical system. The lead-sheath was not always properly grounded! Click here to see images of the relevant pages from the logbook for the delivery voyage from Greenock in Scotland to Brisbane in Queensland, Australia.The voyage took about 2 months with re-fuelling in a number of ports. It is interesting to note that the wife of the Master is listed as stewardess in the crew list. The drum, in the upper left of the indicator, is fitted with paper card. The pencil will chart an X-Y diagram. where the horizontal X-axis records the movement of the piston via the string that rotates the drum. The vertical Y-axis records the corresponding steam pressure in the cylinder against the spring to the pencil, through the parallel linkage above it. 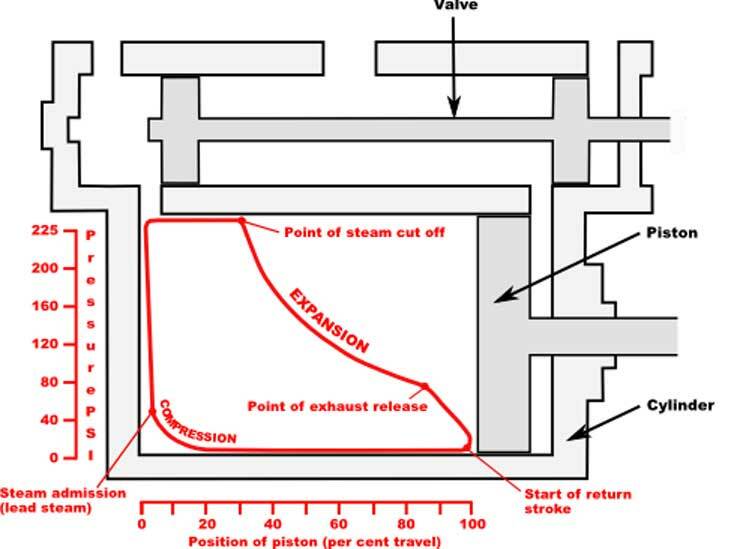 The indicator has in its case a number of springs that can be changed according to the expected steam pressure in the cylinder. Note the formulas and diagram were obtained respectively from here and here, where more information is available.